With each year passing at a greater speed than the last, the moments in which we press pause on the craziness of life to enjoy with friends and family, become even more special. This is why we’ve decided that making more memories is a must for 2018. The best way to do so? With a 2018 Season Pass. Not only does a 2018 Season Pass give you unlimited access to Silver Dollar City®, but it also gives you access to so much more. What better way to make memories than by trying something new! Maybe this will be the year that you conquer the drop of KaPau Plummet at White Water®. 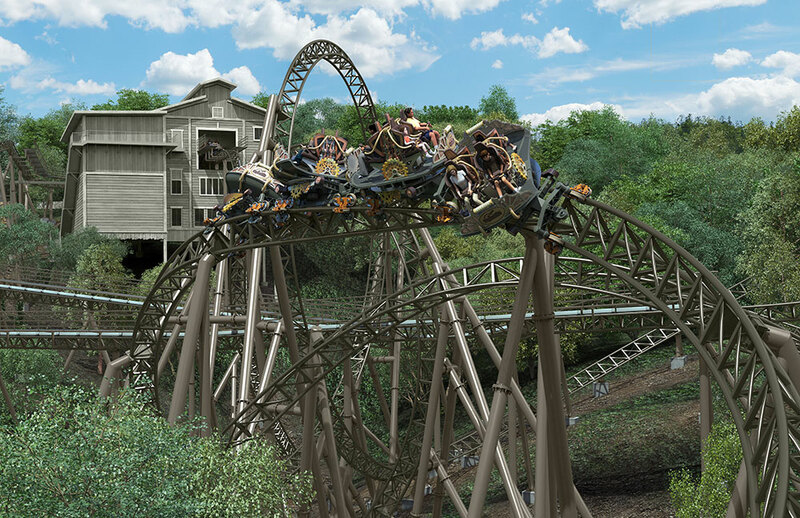 Or maybe you will embark on an adventure unlike any other in Silver Dollar City history as you ride the brand new attraction, Time Traveler™! With over 40 different rides and attractions, including thrill rides, water rides, and family rides, no matter what you enjoy doing, there’s an adventure waiting for everyone! We’re big believers that some of the best conversation and memories happen around the table. 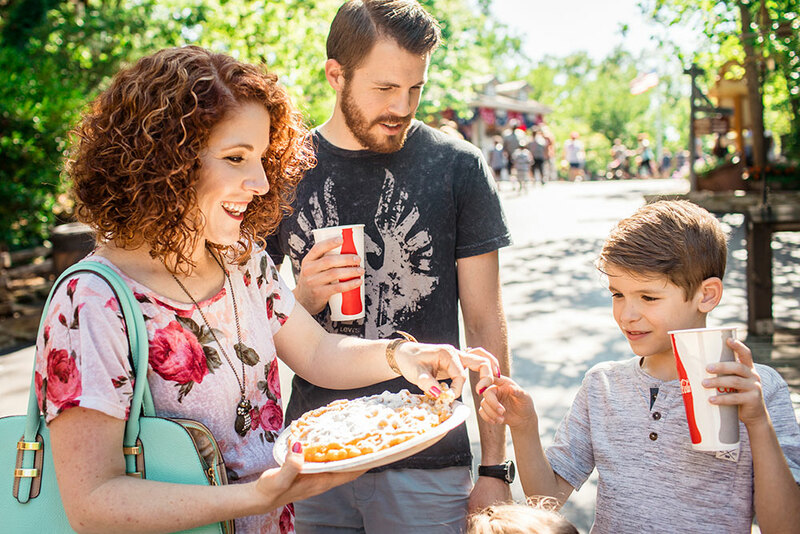 Whether it’s a funnel cake from Flossie’s or a pizza from Crossroads, nothing will bring the people you’re on park with together quite like delicious food. With a 2018 Season Pass you can expect even more conversation and laughter to happen while you’re gathered around the table sharing a snack or meal with those closest to you. Enjoy 7 different festivals throughout the year with your 2018 Season Pass. With each season bringing its own unique feel to the park, no two visits will be the same! 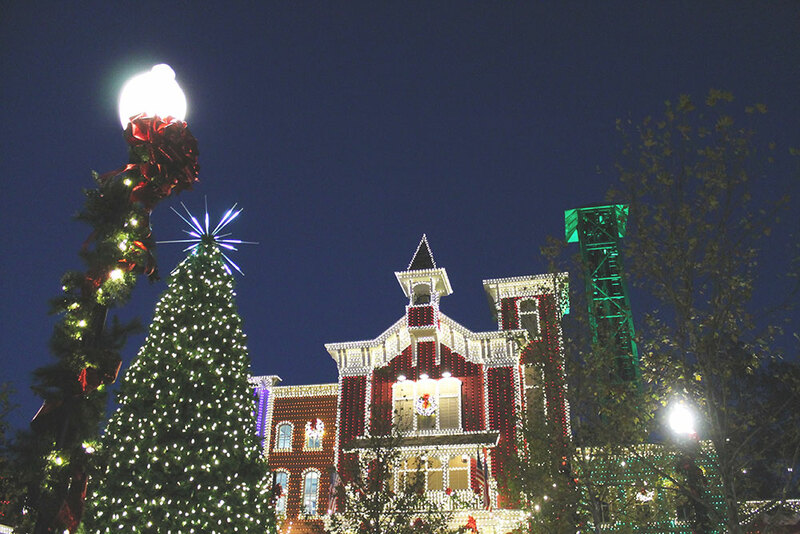 From the enchanting shows during Festival of Wonder to the magical light displays during An Old Time Christmas®, and everything in between, Silver Dollar City is the place to be for fun. The more you come to Silver Dollar City, the more you come to love and learn about it. Take a trip through McHaffie’s Homestead and learn about the actual family that lived in the cabin. 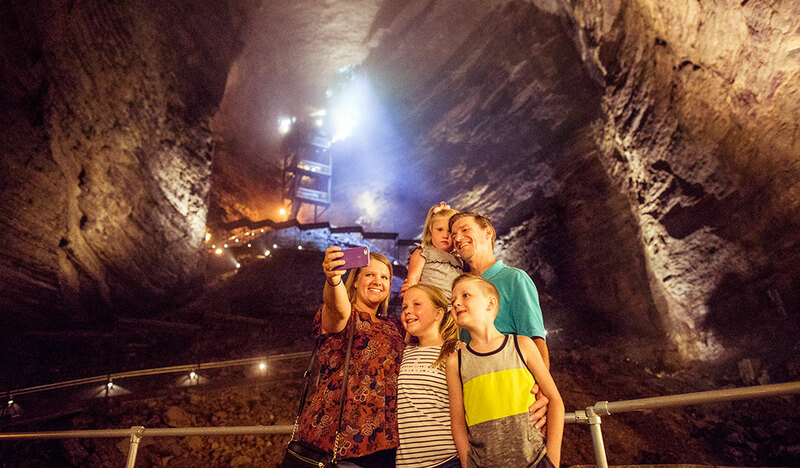 Venture into Marvel Cave and learn about great expeditions into this natural wonder and hear how Silver Dollar City came to be. Talk with the craftsmen as they work and get a glimpse into what it means to be part of the heritage of the Home of American Craftsmanship. Come spend a day learning about the history of Silver Dollar City and experience it with a whole new set of eyes. We’ve got everything you could need to make more memories in 2018, all that’s missing now is you! Get your 2018 Season Pass for unlimited access to Silver Dollar City for less than the cost of 2 one-day admission tickets!